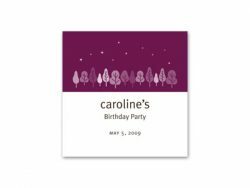 Our eco-friendly creative party favor gift tags brighten up any occasion! Use these festive gift tags for your next special occasion. Square Tag: 2″ x 2″ printed on 80# eco-friendly recycled card stock.